Green Force Tactical, Inc. is owned and operated by Veterans of the US Military, Law-Enforcement, Corrections and Emergency Services communities. We are a family-owned business, and have dedicated our lives to serving our family, communities and country. Our combined experiences have shown us the good, the bad, and the ugly of humanity. This spawned our self-defense philosophy, which focuses on these three points, in this order: Mindset, Skills/Tactics, and Gear. Our mindset is to always be ready for "the fight." We train to improve our skills, but also to improve this mindset. We make quality fighting gear to support both. Our goal is to prepare our customers for their "fight" by providing them the best gear available and encouraging training that focuses as much on mindset as it does on skills. You will be there for every one of your emergencies. You are your own first responder. Let us help you prepare for your fight. Because we build them better. We know the material science to make sure our kydex holsters are rugged and durable. Our holsters are purpose-built; designed specifically for the given mission. Other big-named companies like to create holsters that can do or be many things. Their focus on modularity or "multi-purpose" winds up with a holster that can serve many purposes, but does none of them very well. Our philosophy, on the other hand, is to design a holster with a single purpose in mind. This allows us to focus on the quality and comfort of that design, making it excel at its job. If all you want is a cheap, plastic holster to keep your gun scratch-free on your nightstand or in your gun safe, you may as well leave now. That is not our mindset. Instead, we believe it is a person's responsibility to be ready for "the fight" at any time. No one knows when they'll have to defend themselves and against what odds. 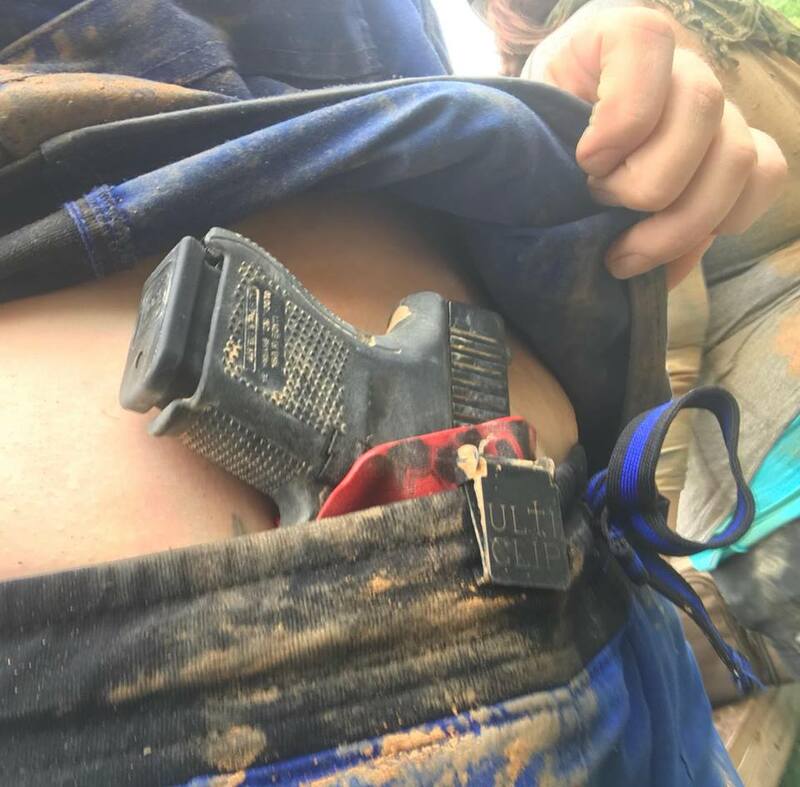 If a holster fails because of poor design or construction, someone will likely die. What's worse is if someone enters "the fight" unprepared because they avoiding carrying their firearm in an uncomfortable holster. Our belief is that it is better to carry your firearm and never need it than to regret not having it that one time it became necessary. We design and build our holsters with all of this in mind. We care about our customers and want them to be ready for "the fight." We understand that a holster is a piece of life-saving equipment; that it just has to work when needed. We build ours to be durable enough to survive a prolonged and dirty fight, but comfortable enough to wear all the time. Each Green Force Tactical holster is hand-built in the USA by an employee who understands this. We use only the highest quality materials available and hold ourselves to a very high standard. Each and every piece of gear we make is checked for quality, fit and retention before it leaves our shop. Every holster has a lifetime warranty. We will fix or replace your holster should it ever break or fail, except in cases of negligence or misuse. 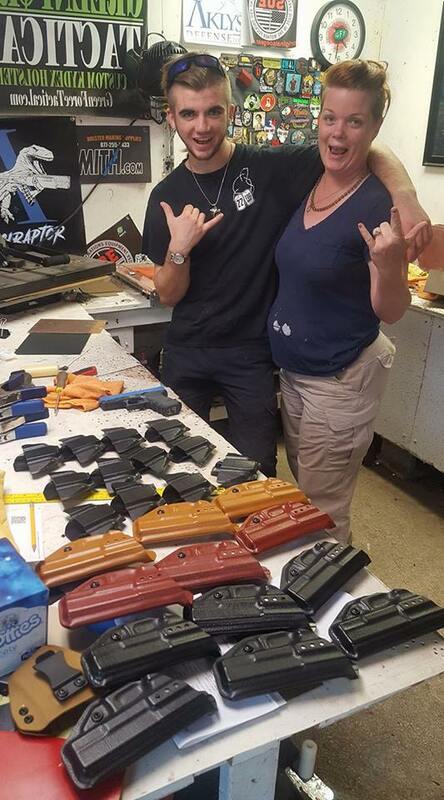 And if we do make an error or you are not satisfied with your holster for any reason, we will refund or replace your holster according to our returns policy. Besides making the best kydex holsters around, our goal is to spread the mindset that you must be ready for "the fight." When seconds count, the cavalry is minutes away. You must be ready to defend yourself and who you care about until the cavalry arrives. And remember, Always be Awesome!